While we're busy recovering from a recent overdose of Nokia eye candy, secret agents are hard at work hunting down more visual goodness for us to ogle at. These shots above are of the Nokia 700 "Zeta," which appears to be a replacement to the C6-01. The photos show it running on Symbian Belle -- Anna's successor -- and packed with a 5 megapixel camera, LED flash, and NFC support. The source indicates the Zeta will house a 1 GHz CPU and 3.2-inch nHD AMOLED display, weighs a smidge over 80g, and measures out at 10mm thick. 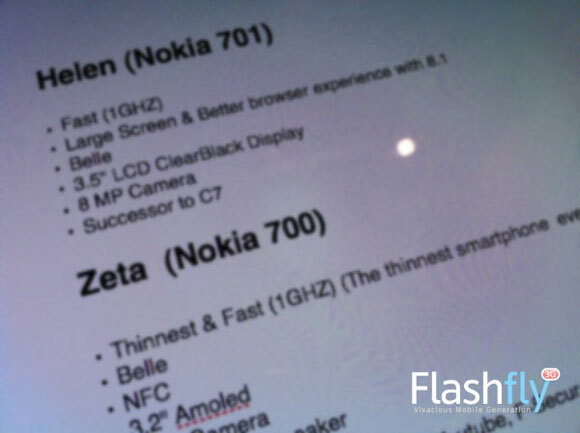 Oddly enough, we dug up a leaked snapshot of the Zeta's spec sheet claiming it'll be the "thinnest smartphone ever," which at 10mm isn't anywhere close to earning that title. 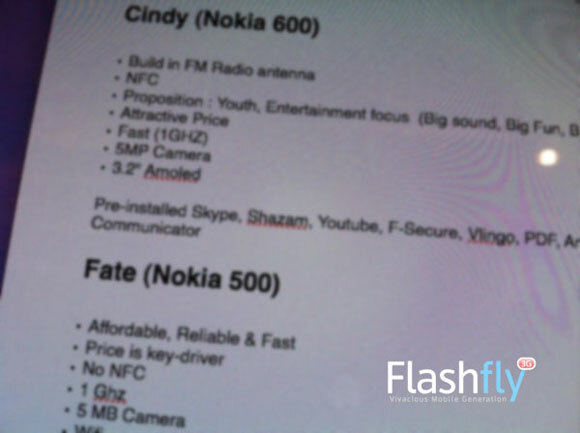 Though no other phones were pictured, the spec sheet (shown below) brought attention to three other Symbian offerings on the roadmap: the Nokia 701 Helen has the best specs of the bunch with 8 megapixel camera and 3.5-inch ClearBlack display; there's the Nokia 600 Cindy with NFC, 5 megapixel shooter, and 3.2-inch AMOLED; also, we've likely seen the Nokia 500 Fate already leaked as the N5. There's no indication on when (or if) we can expect any of these phones to hit the market, but it looks like Mr. Elop is intent on keeping his promise. More photos after the break.